I think I am getting past it – shopping that is – when I am travelling. Don’t get me wrong. I love shopping for things I can use – like clothes or shoes – especially in exotic places like the Grand Bazaar in Istanbul or the Silk Markets of Hanoi. But cut me out with knick knacks. I am really done. I think I am moving into that part of my life where I yearn for simplicity and order. Really – I have to look at some of the things I have from my travels and say to myself “What the hell were you thinking of when you bought this?”. 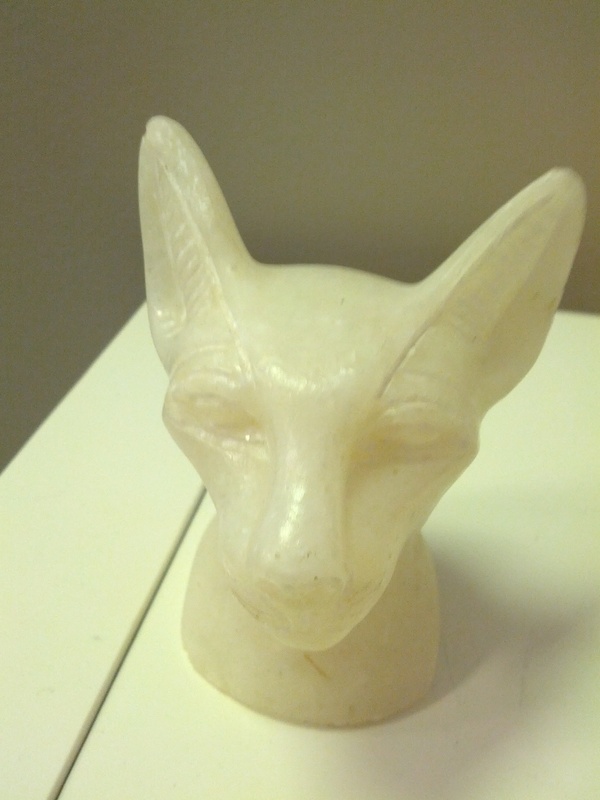 Take this alabaster cat. It’s horrible. It’s heavy. It’s not particularly well made. It was at the end of our tour in Egypt and we were taken to the alabaster shop, shown ancient tools still used today – to make badly carved cats and vases. I felt bad. The shop owner followed me around the store while I desperately looked for something that wasn’t going to cost an arm and a leg. I felt I should really buy something – and I like cats. Mmmmm – this was one of my mistakes. Let’s not even talk about the bangles that made my wrist go green or the pure cotton woven shirts that disintegrated in the washing machine. 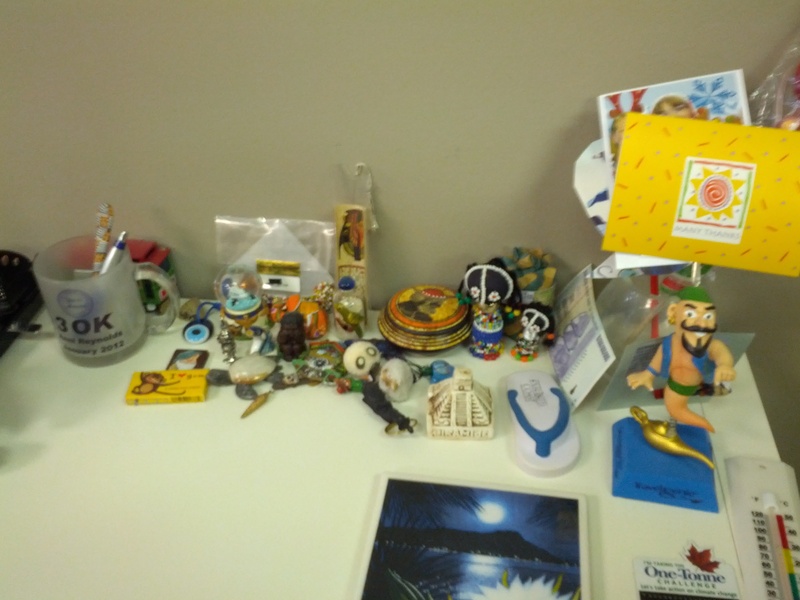 My colleagues are just as bad … look at their desks….. 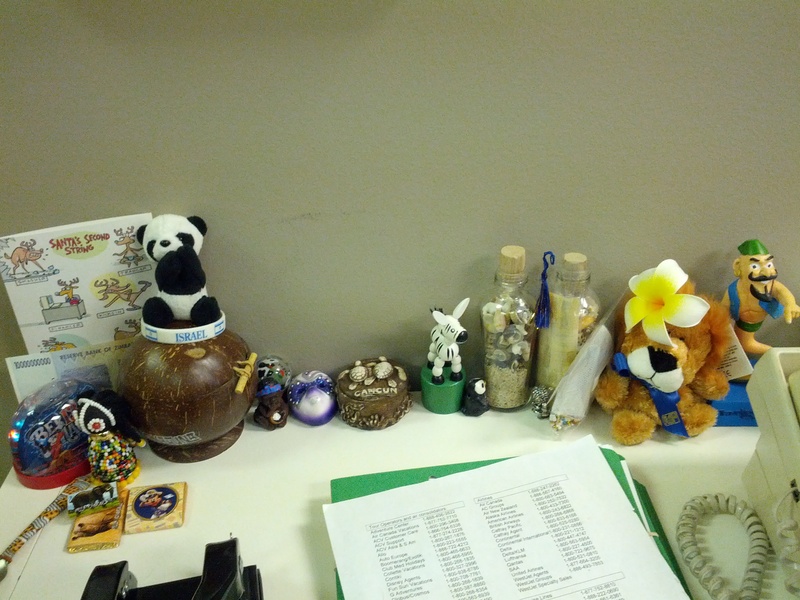 Mind you – I do have a few little bits and pieces that I am quite fond of. 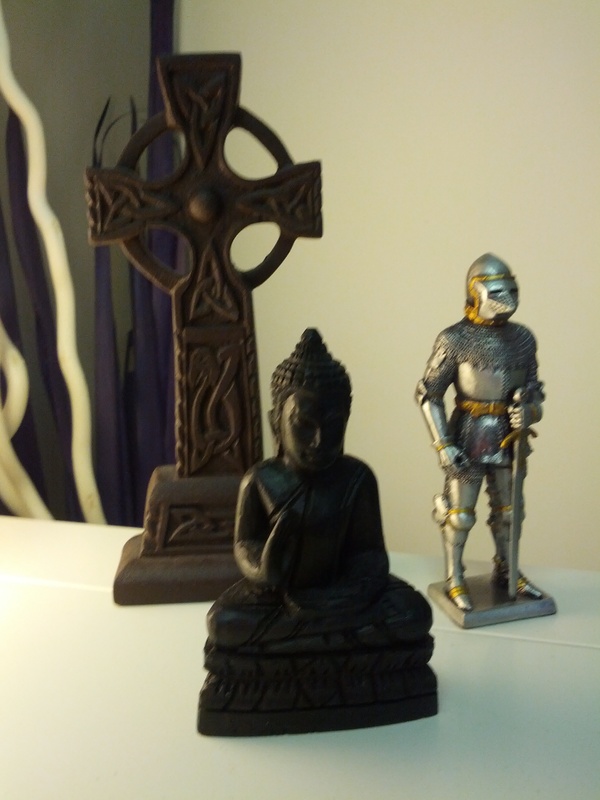 The peat Celtic cross I bought in Ireland, the medieval soldier from Germany and the Buddha from Vietnam. 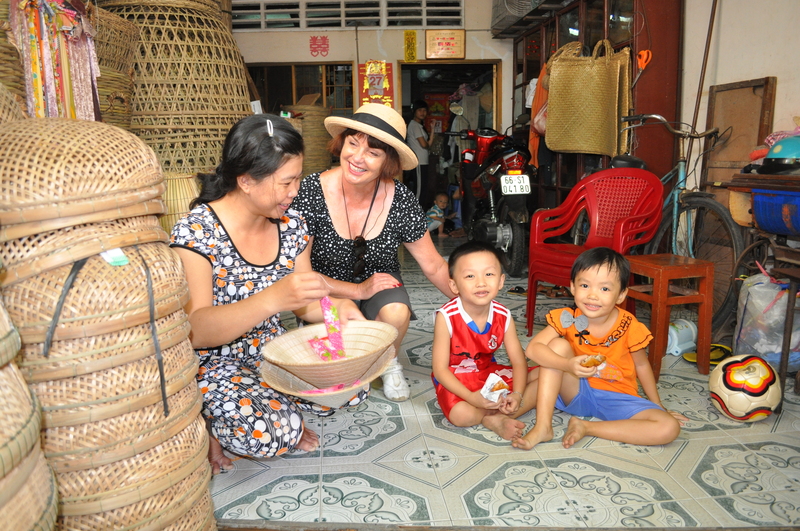 And then there are those cute hats I bought in Vietnam which I have hanging on the wall. And they are special because I saw the lady making them. 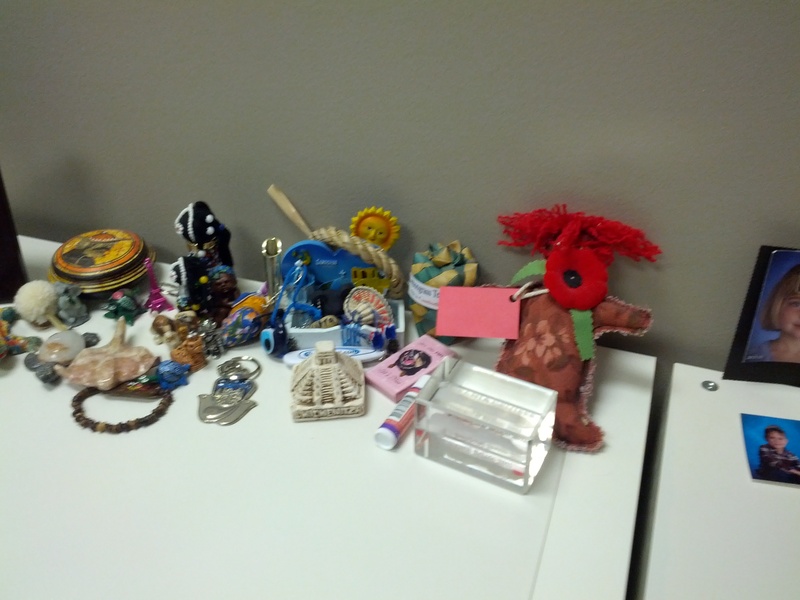 How can I throw any of these away? They are all memories – some good some bad but on a snowy day in Calgary they remind me and take me back again and again. 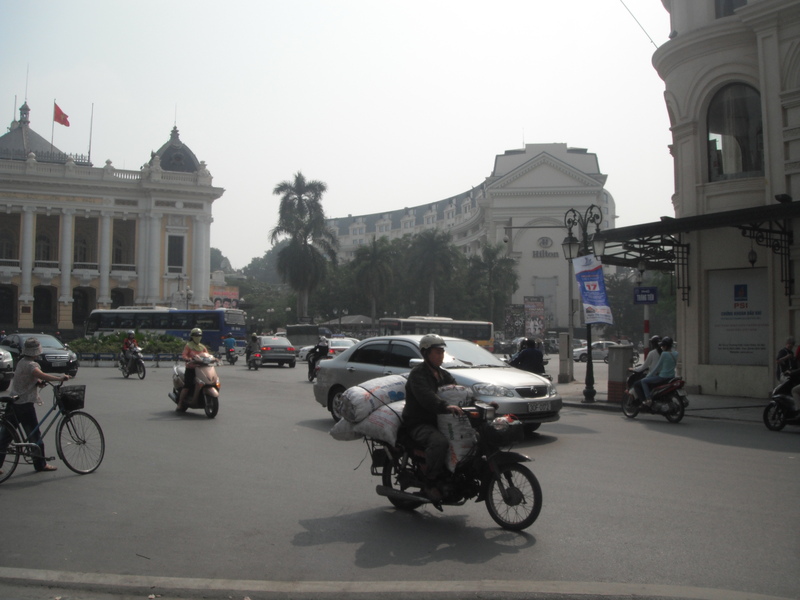 If this is Hanoi where are my tighty whities? There lies my suitcase – on the living room floor – and it’s packed. The remarkable thing about this is that it was packed a good 36 hours before I am due to leave the house and head for the airport. This must constitute a record. It is such an amazing occurrence it has been giving me a headache and caused me to wake up in the middle of the night wondering if I have finally gone off my rocker! People, this is an unheard of phenomenon. I have been known to finish my packing with the taxi waiting at the front door. This has caused huge distraction and lack of concentration – like the time we drove all the way to Calgary airport and left my bag sitting on the floor of the garage. Or the time I completely forgot to pack my underwear. Yes, you try wearing a pair of your husband’s tighty whities under your skirt and see how it feels. So I am feeling rather smug at the moment – which is not a good thing as I know from experience. I am heading into untrodden territory – at least for me. 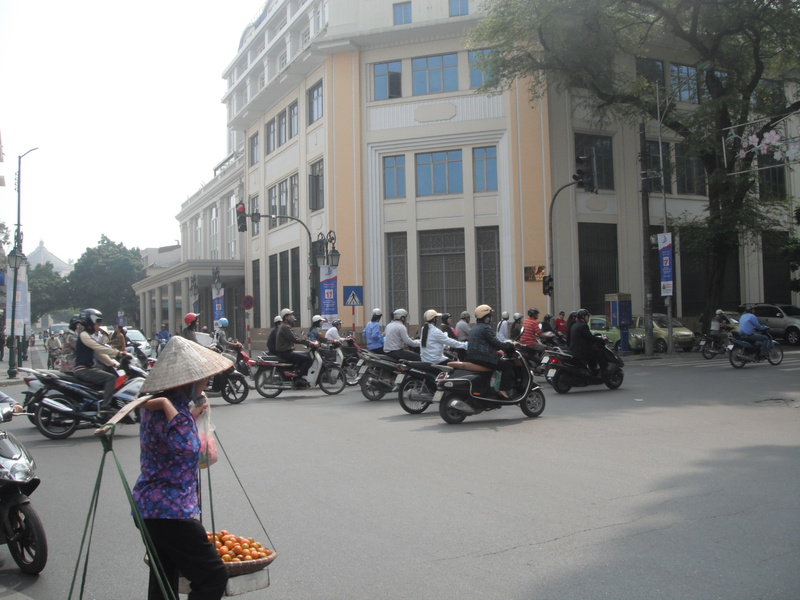 First stop is Hanoi, followed by Ha Long Bay, Siem Reap and the Mekong. Wow – I feel dizzy at the thought. 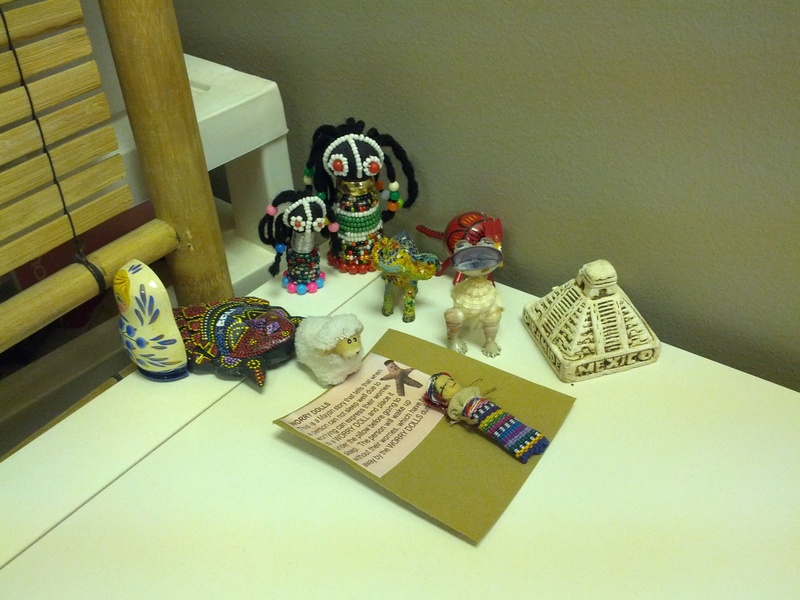 Have I really packed the right stuff – maybe I should go through it all just one more time…. just to be sure. Stop it Lesley – it will be fine. The bag is packed – let it be….. but just double check you packed your knickers.